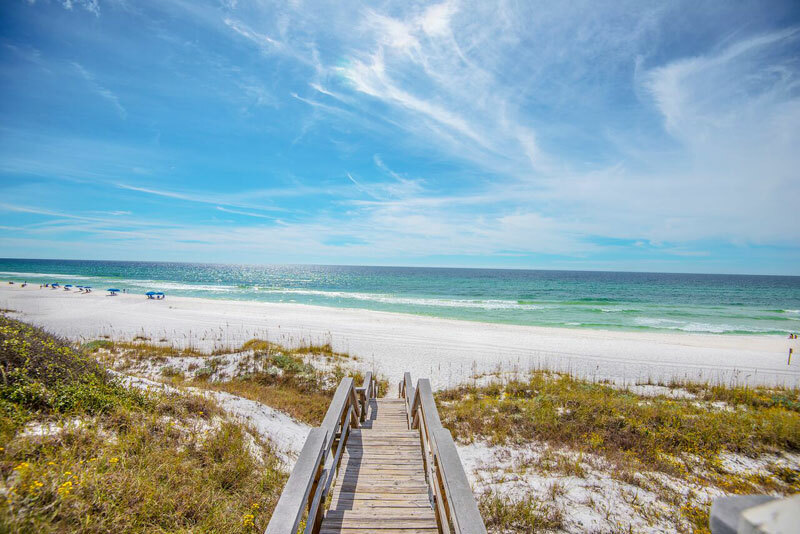 Set among luscious shrubbery and age-old native trees, Seagrove Beach is one of the area’s oldest beach towns and is very popular to visitors who appreciate that old-Florida beach feeling. Seagrove Beach is home to two coastal dune lakes – extraordinary bodies of water and treasures to this beautiful beach community. Located just in the center of South Walton on Scenic 30A, and near to the architecturally noted town of Seaside and the authentic village of Grayton Beach, when staying in your Seagrove Beach vacation rental you are within walking or biking distance to fabulously charming shops and cafes, including the scrumptious Cafe 30A and the famed Old Florida Fish House – your family will never be far from a wonderful meal. This ever so charming beach destination will draw you back again and again.